Most people know the song “Take Me Home, Country Roads” as a classic, beloved John Denver song. It was released in 1971 and peaked at #2 on Billboard’s U.S. Hot 100 singles during the last week in August of 1971. The iconic song about West Virginia was so appreciated by the state that it became one of its four official state anthems in 2014. Denver always sings this song as a solo, but did you know that he also sang this as a duet? 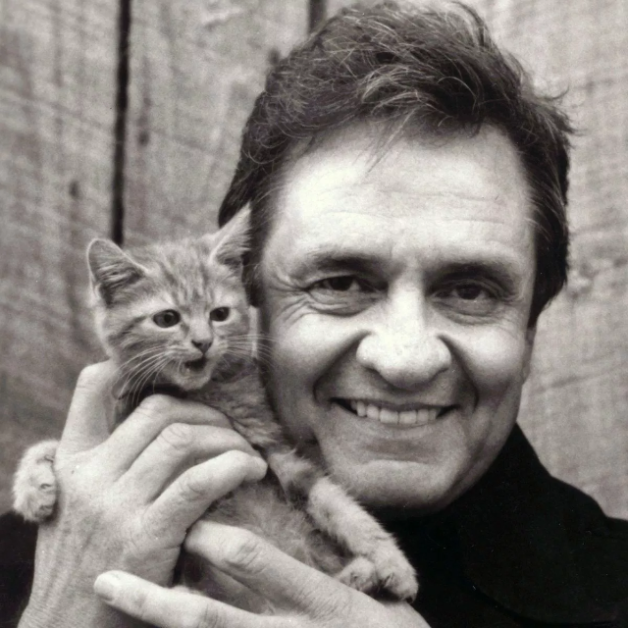 In this rare video, he’s joined by legendary singer Johnny Cash. Even though this video from 1978 doesn’t have the best video quality, you still can clearly hear the two legends singing out the well-known lyrics. This duet will make you love this song even more. The story behind this video is an interesting one. While going through his grandfather’s old VHS tapes, a man by the name of Christopher Johnson came across a tape labeled simply, “Denver & Cash”. Not knowing what it was, Christopher put the video in his granddad’s old VHS player and he was shocked to discover this rare, previously lost gem. While both artists strum on their guitars, John Denver starts the iconic song out as he normally does, “Almost heaven, West Virginia…” Just about everyone knows the lyrics and inevitably sings along with the song. It seems to take you back to a simpler, more peaceful time and place. Johnny Cash’s well-known deep voice takes over on the line, “Life is old there, older than the trees; younger than the mountains, blowing like a breeze.” In common Johnny Cash-style, he seems to be telling a story more than merely singing some words. Denver joins Cash on the chorus that just about everyone knows, “Country roads, take me home to the place I belong. West Virginia, mountain mama, take me home country roads.” Denver sings harmony, and Cash naturally takes the lower main melody. The two continue to take turns singing as the song goes on, occasionally harmonizing with each other. It seems far less like an official recording session, and much more like two friends just sitting on a porch enjoying nature and each other’s company. So now, when you think of “Take Me Home, Country Roads,” you’ll hear the legendary Johnny Cash singing along as well. Wow! A very good find! I never knew this video existed or that John Denver and Johnny Cash had sung together. If you loved this rare footage of these iconic singers together, please share this video with your friends and family. Let’s make this go viral because it certainly deserves our attention and our applause.